I am honored to have been interviewed by CLOT Magazine! Thanks to Bilge Hasdemir and the CLOT editorial staff. La recensione di Sonia S. Braga sul mio libro “Arte transgenica. La vita è il medium” – Pisa University Press. Ecco l’articolo di Simone Arcagni dove si parla anche del mio nuovo libro “Arte transgenica. La vita è il medium” – Pisa University Press. Transgenic Art. The new nature as aestheticization of life. My paper is online. The New and History art*science 2017/Leonardo 50 Proceedings. 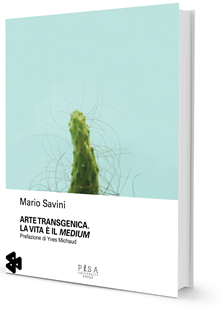 Il mio articolo “Transgenic art: Creativity in the era of genetic engineering” è ora disponibile sulla rivista scientifica “Technoetic Arts” (15.2) diretta da Roy Ascott. My article “Transgenic art: Creativity in the era of genetic engineering” is now available in the scientific journal “Technoetic Arts” (15.2) edited by Roy Ascott. The spread of biotechnology and genetic engineering has developed a new creative thinking in the context of contemporary visual culture where art, science and life evolve into a network of interdependence. Starting from that, the paper analyses the works of important artists who, from the late nineties of the twentieth century, have modeled genetic material to create artistic works. These transgenic representations become a metaphor for cultural hybridisation. They are places of transaction that contradict their documentary size, losing the concept of memory, narration and storage. Artistic objects are replaced by the evanescence of aesthetics, reconsidering the relationship between image and information. This study goes beyond the boundaries of art, trying to understand the reasons of the crisis of its representation. Focusing attention on transgenic art means to say that the artist as a scientist, not only is able to change life, but to reinvent it completely. 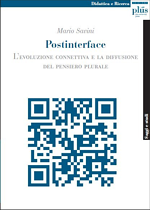 Attention is also given to mixtures of the various ontological categories where bodies are connected to machines in an intimate or hidden way, questioning the idea of nature and the concept of life. This proposal will try to answer the following questions: how has molecular biology influenced the development of contemporary art? Who is the artist today and what are the new areas of inquiry? Il 27 maggio presenterò alla Ionian University di Corfù (Grecia) una ricerca dal titolo “Transgenic Art. Creativity in the Era of Genetic Engineering”. L’appuntamento è parte della conferenza scientifica “Taboo-Transgression-Transcendence in Art and Science” che si svolgerà dal 26 al 28 maggio 2017. Ecco il programma. On May 27, I will present a research entitled “Transgenic Art. Creativity in the Era of Genetic Engineering” at Ionian University of Corfu (Greece). The appointment is part of the scientific conference “Taboo-Transgression-Transcendence in Art and Science”, which will take place from 26 to 28 May 2017. Here is the program. My submission “Transgenic Art. Creativity in the Era of Genetic Engineering” for the Taboo-Transgression-Transcendence in Art and Science Conference , has been accepted for presentation by the Scientific and Artistic Committee. 26 – 28 May 2017, Ionian University, Corfu Greece. Arshake rilancia – tradotta in italiano – la mia intervista a Yiannis Melanitis. L’artista greco, in collaborazione con Matina Papagiannarou, ha realizzato una farfalla umanizzata, Leda Melanitis.